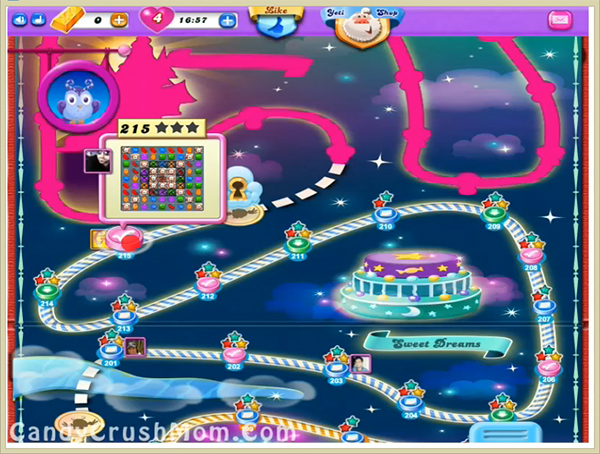 This level is much hard as you need to make lot of special combos special colorbomb with colorbomb. For this level you need to make special candies and break them with balancing the Odus owl. Then try to make colorbomb if you cant or play near to blockers to make colorbomb that stuck in between free. After moon struck try to make more special candies to reach all orders. We completed this level with 103780 score using special combos with balancing the Odus owl and reach requirement before 8 moves with two star score.